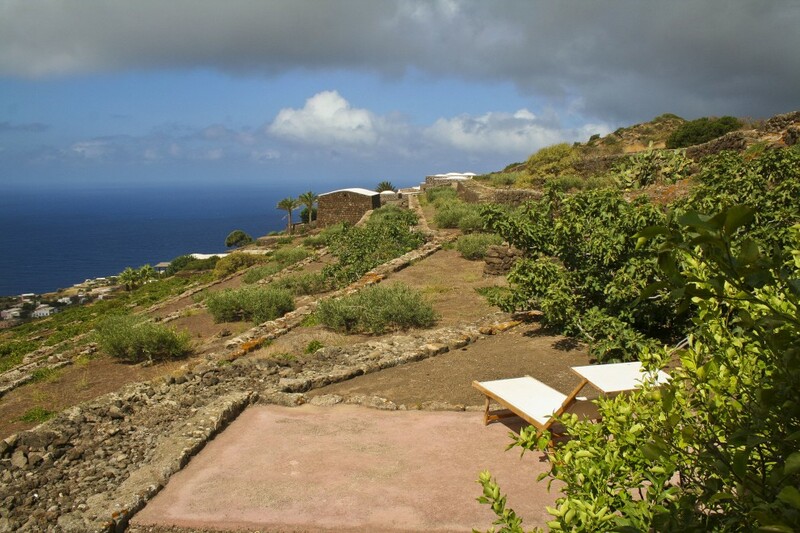 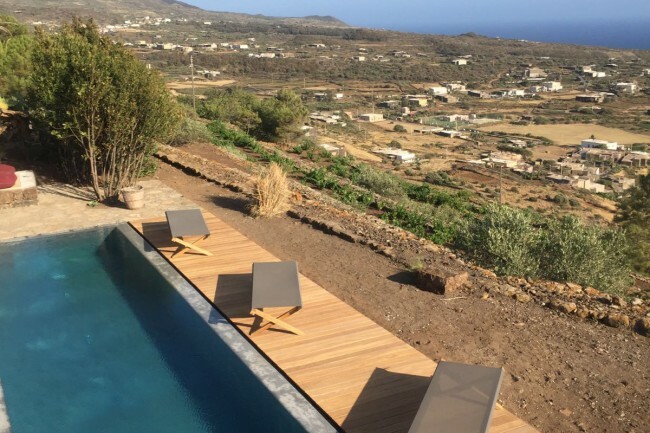 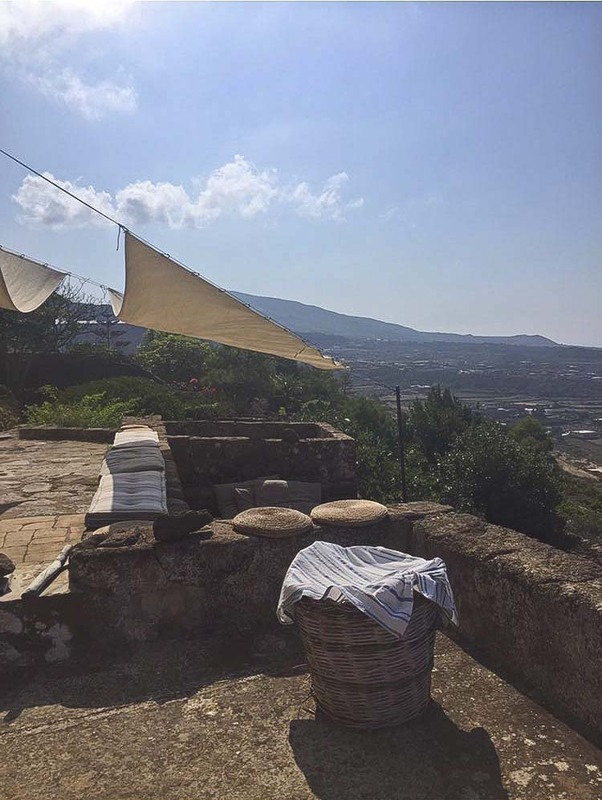 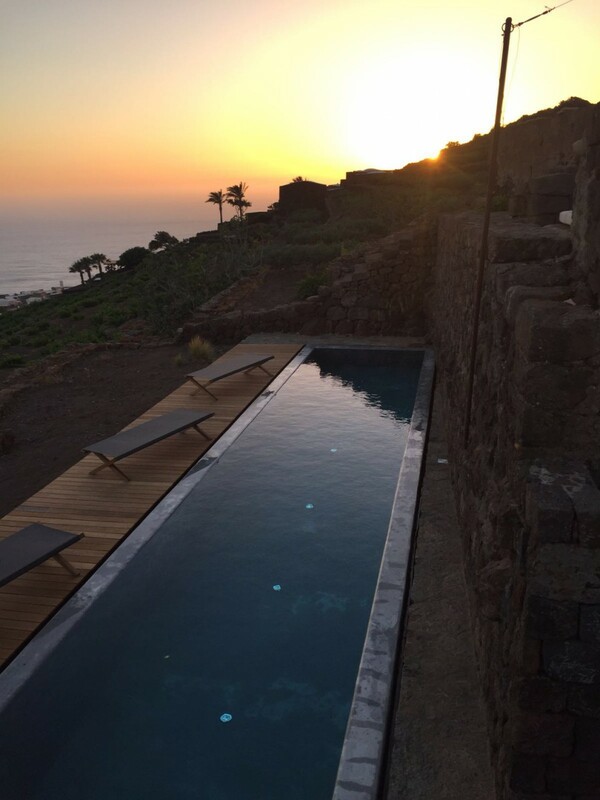 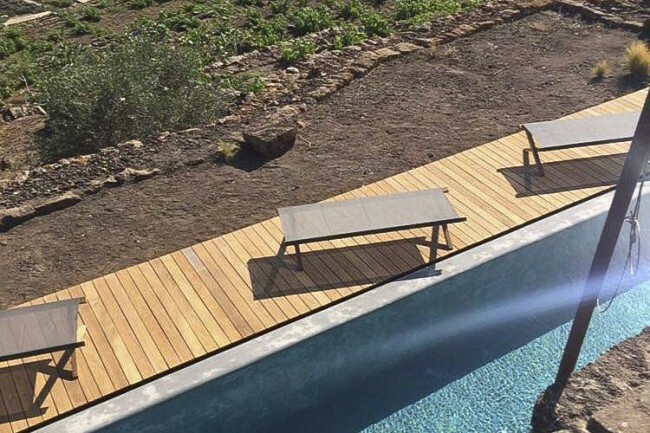 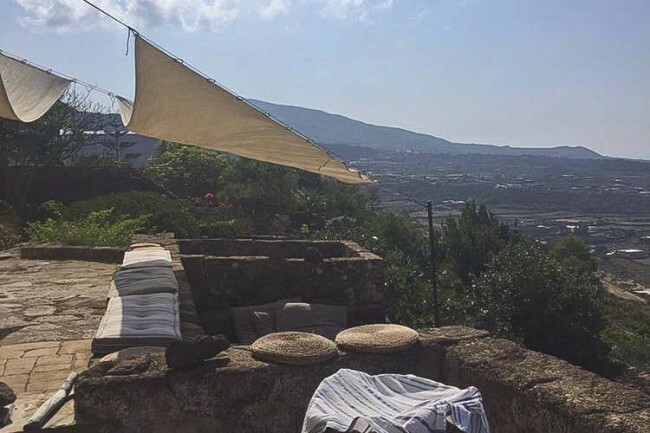 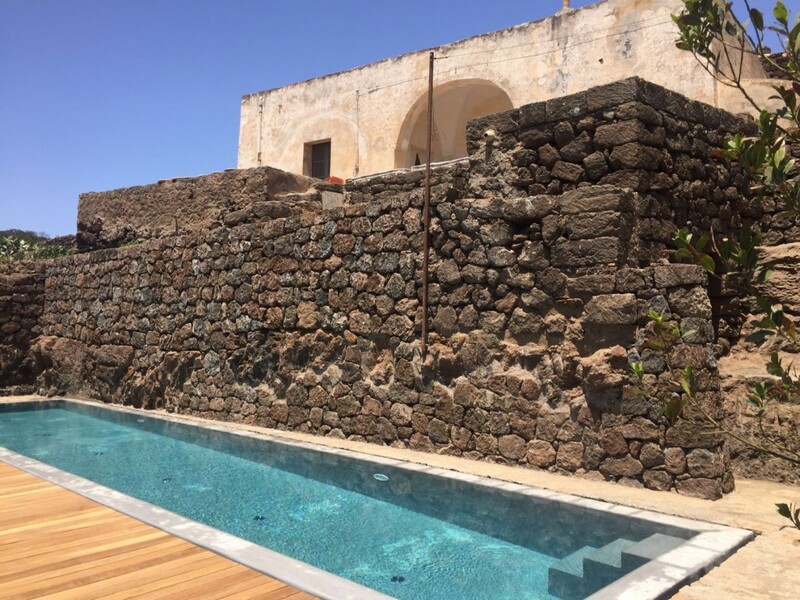 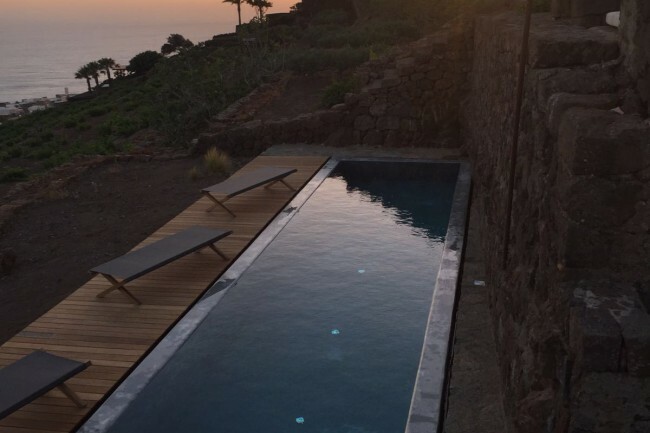 Stunning historic dammuso with swimming pool, located on the crest of Monastero valley facing the breath taking deep blue sea of Pantelleria. 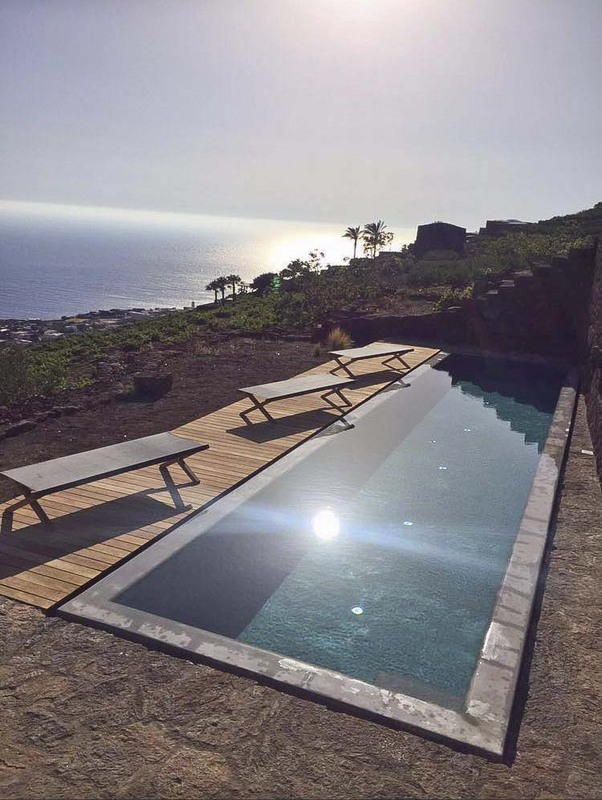 You will be enchanted by its essential architecture and the unique location surrounded by nature. 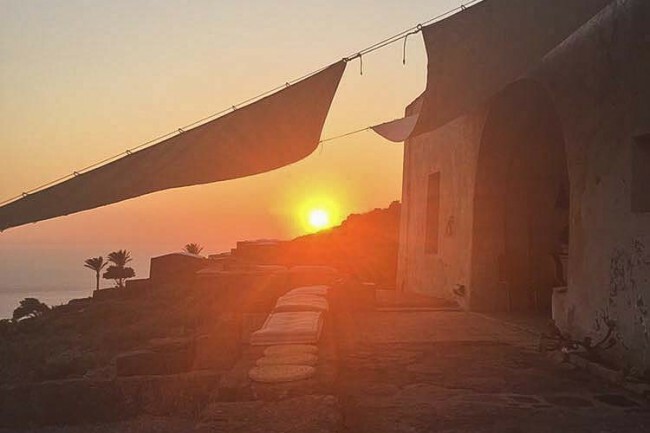 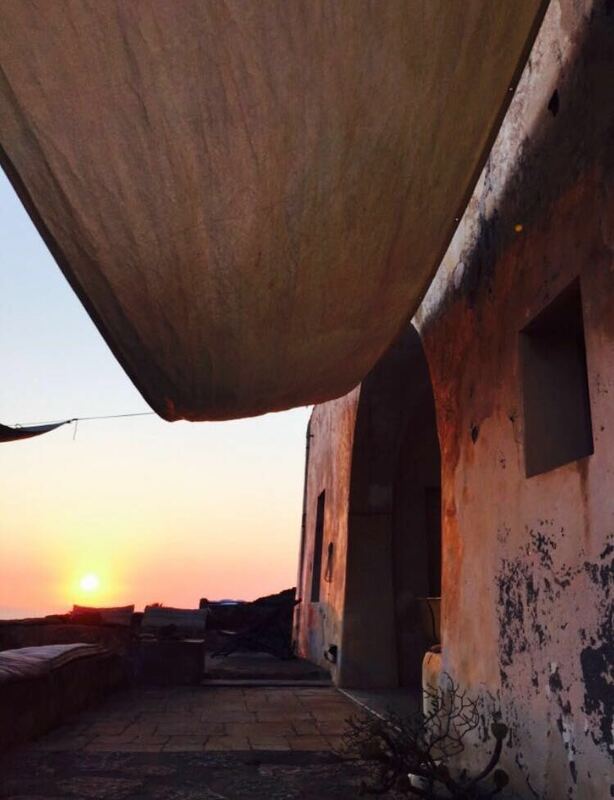 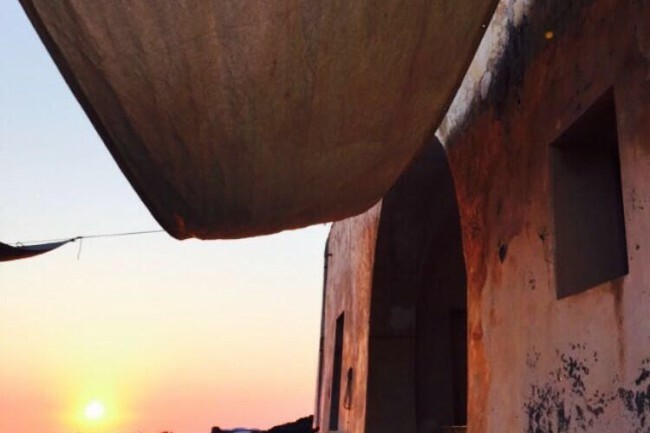 Let yourself be mesmerized by the infatuating perfumes and every shade of light and colour of the sunsets, whilst letting yourself be drawn into the history this dammuso will offer during your stay. 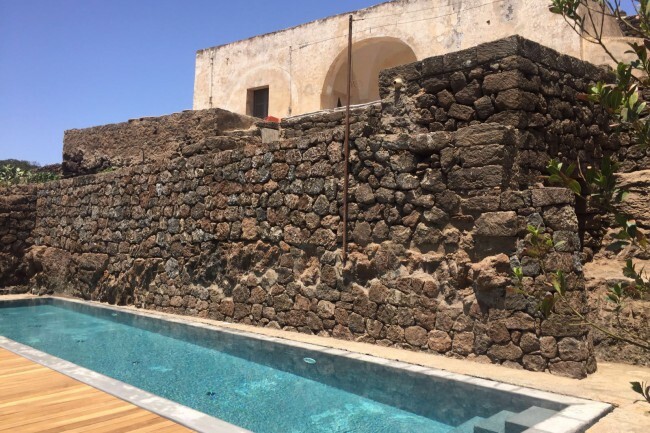 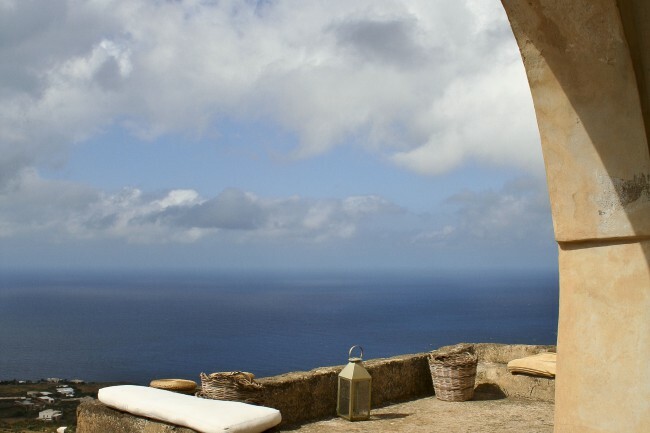 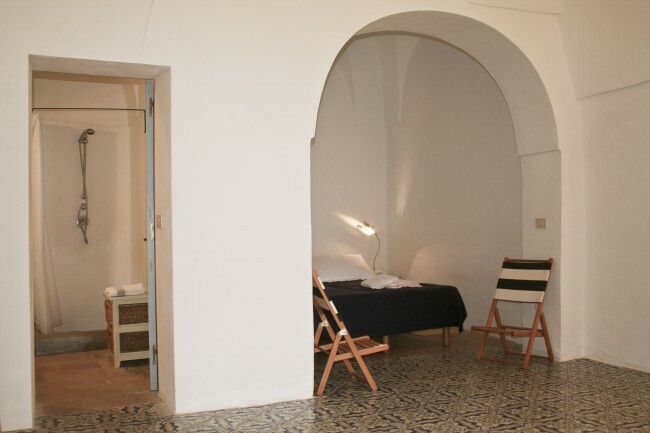 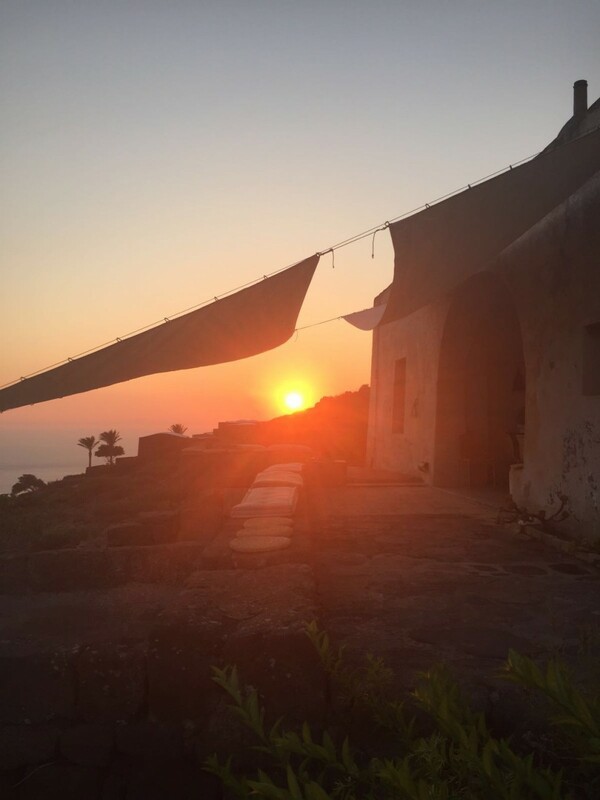 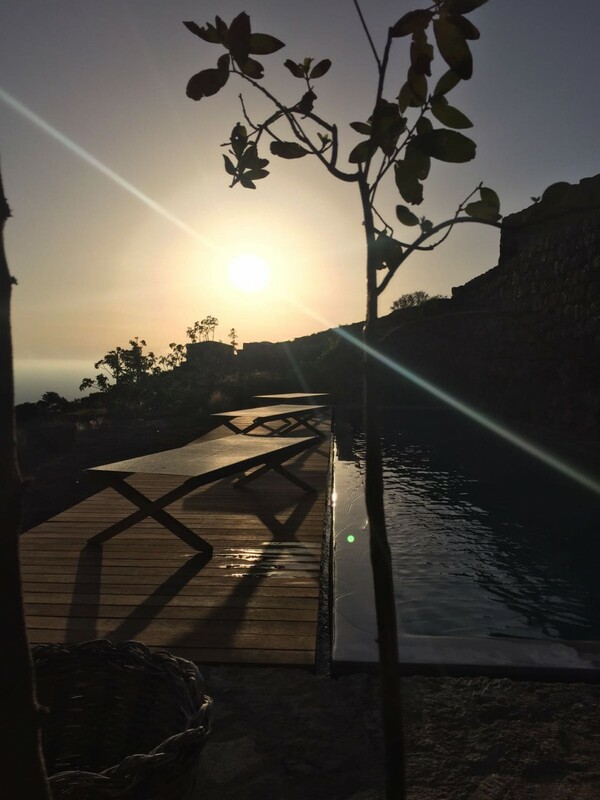 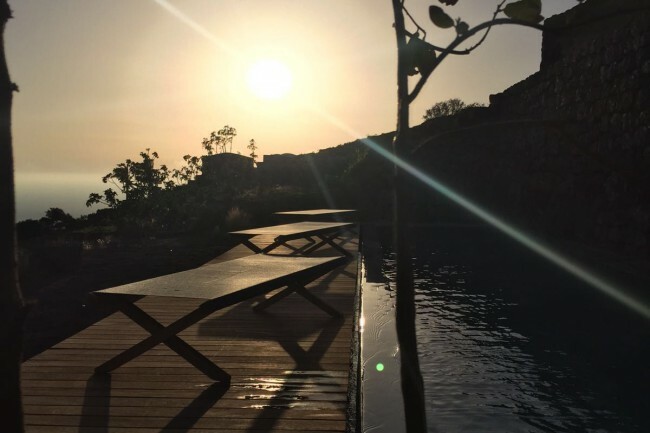 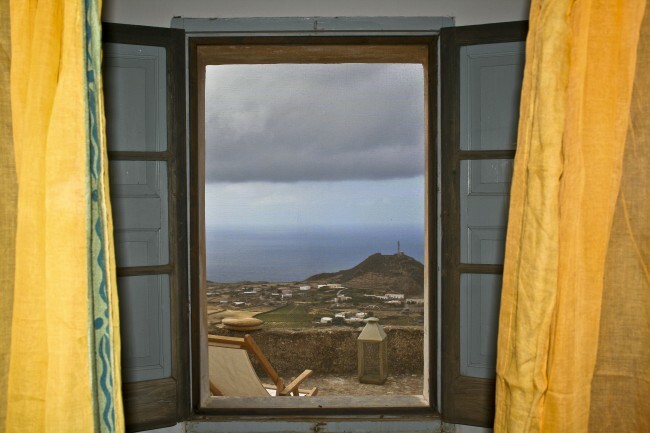 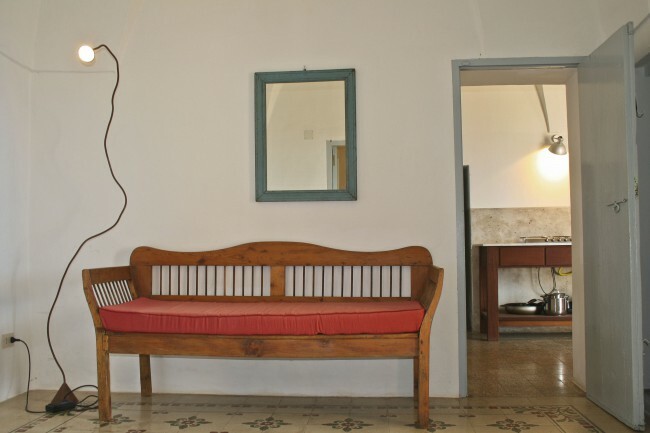 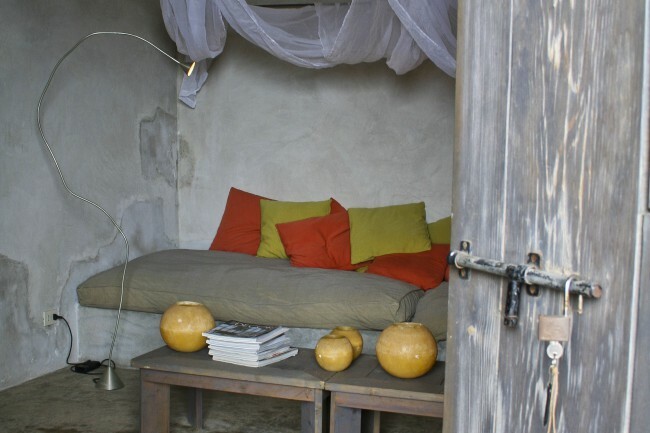 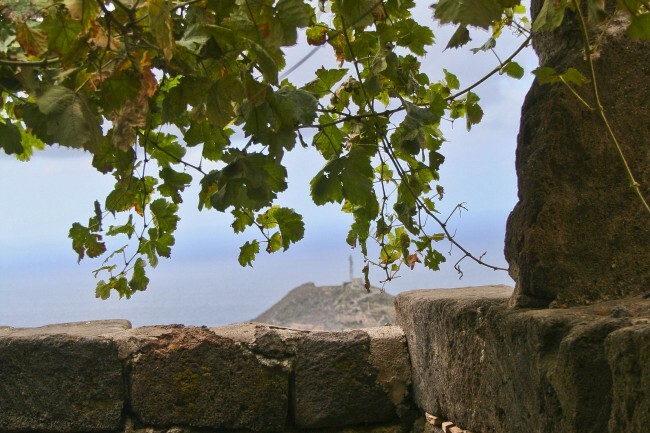 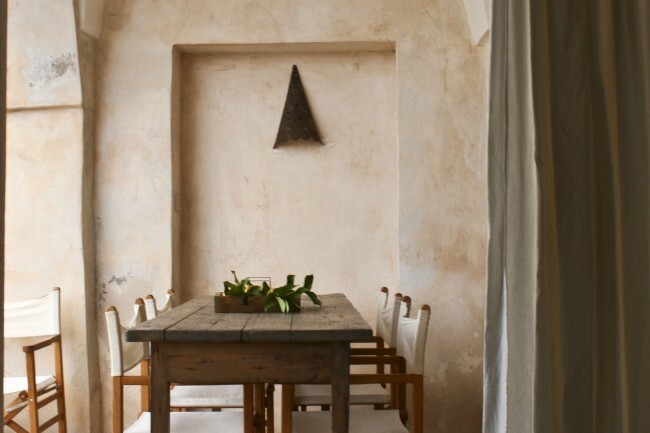 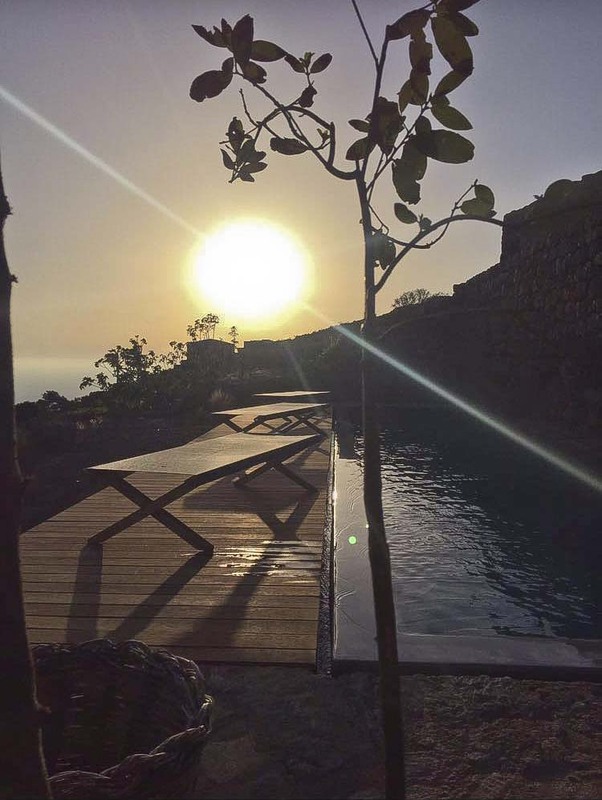 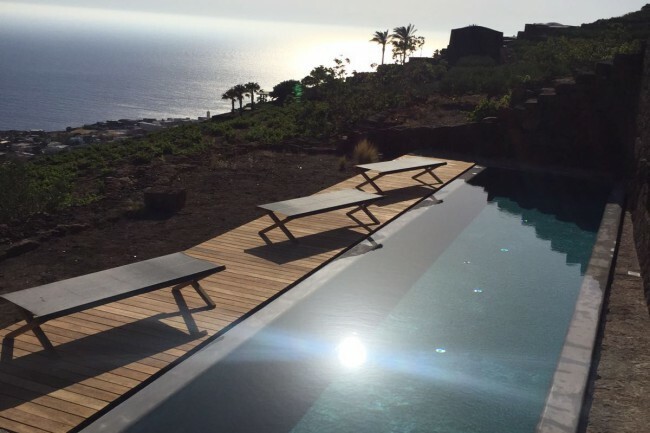 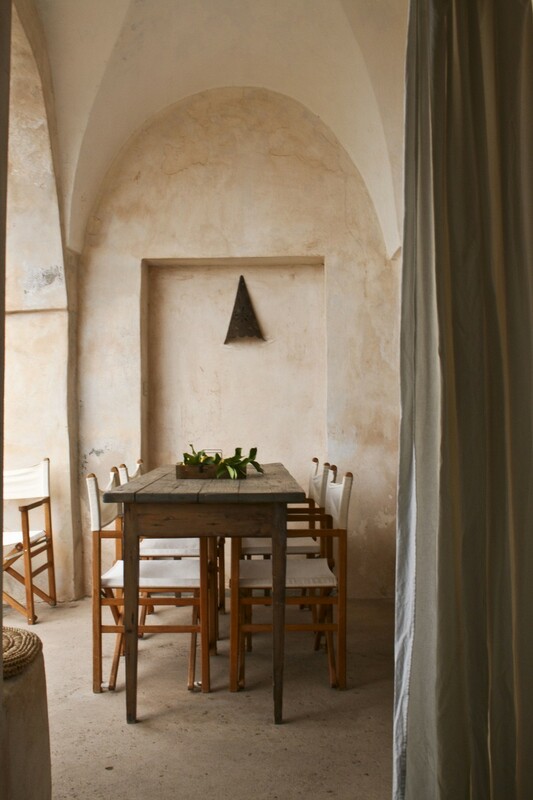 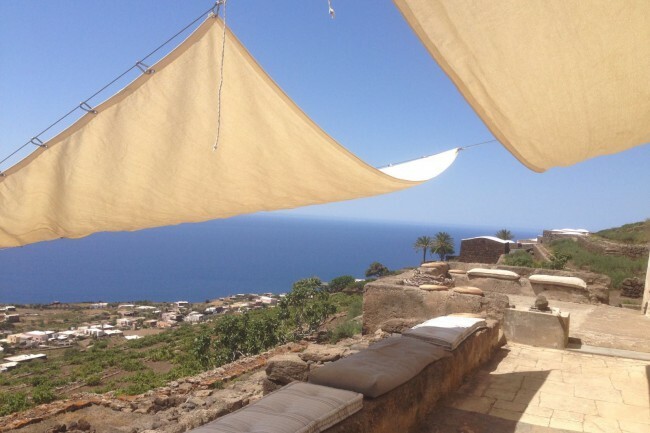 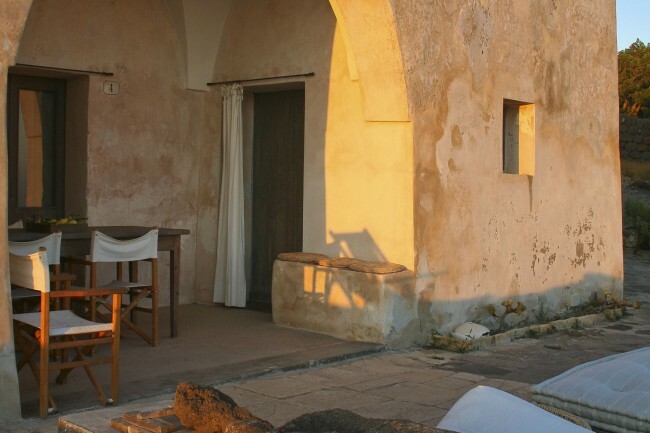 Refurbished few years ago, the centenary dammuso has been embellished and modernized yet still withholds the authentic and striking flavour of Pantelleria, to offer guests a unique and charming residence. 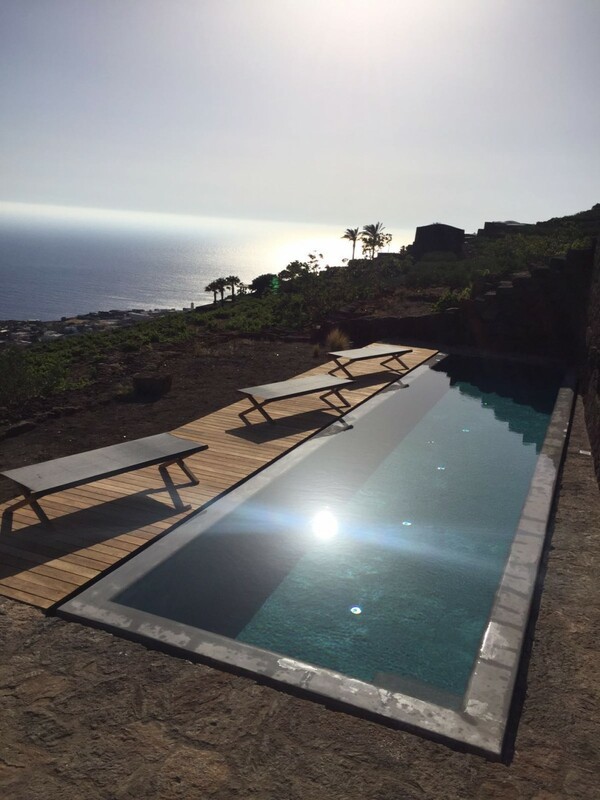 In June 2016 the villa welcomed an amazing 12 meter infinity pool. 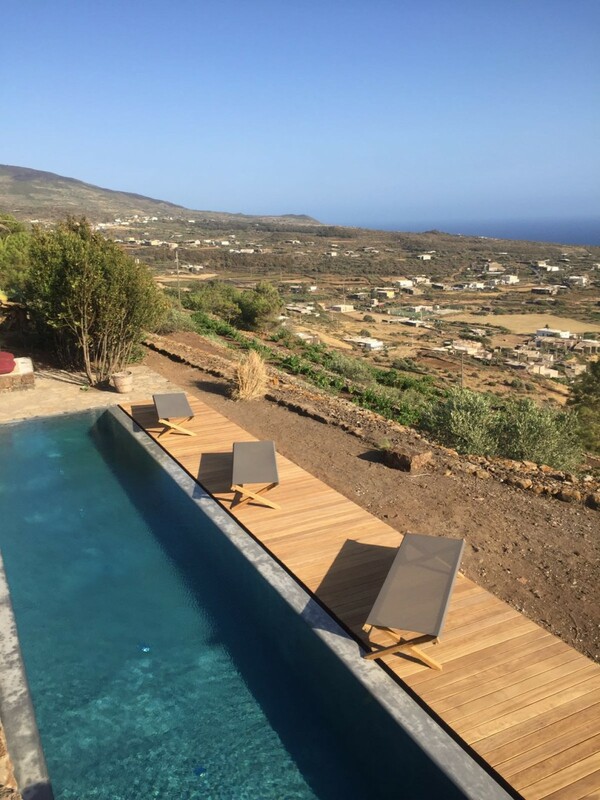 Ideal for a romantic retreat in search of complete privacy and an immersion in the exclusive atmosphere of the island, the villa can also accommodate families and larger groups thanks to the dependences. 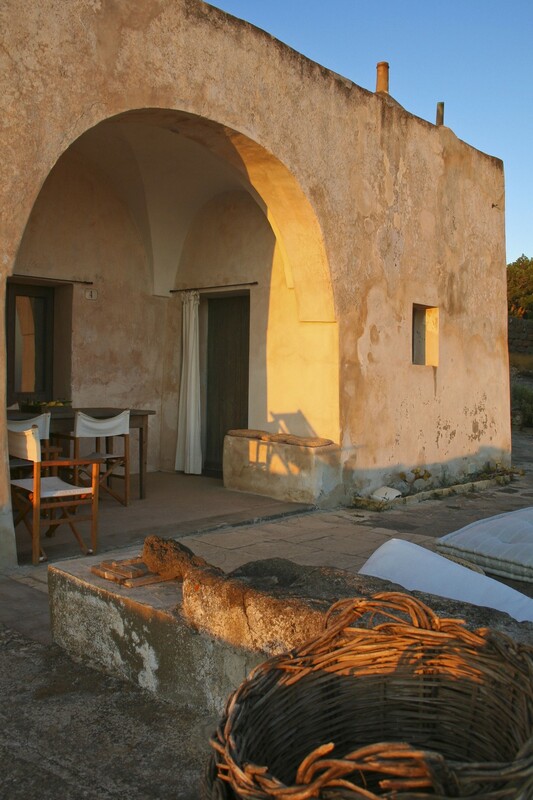 The access to the main house is welcomed by a suggestive panoramic terrace and the dining area veranda, which offers a perfect spot for breakfast, aperitifs, outside dining with sky and sea views, protected by the characteristic winds of the island. 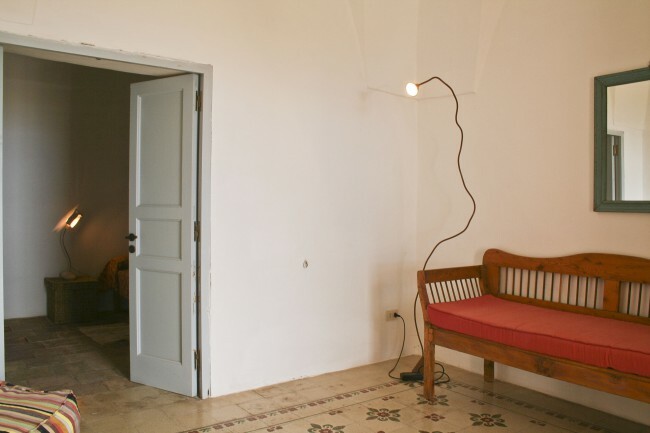 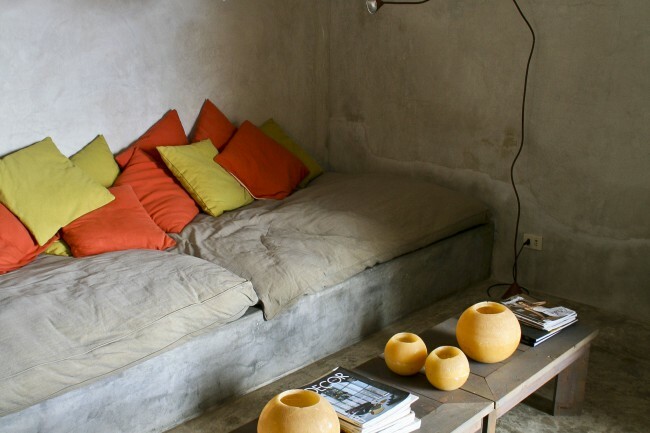 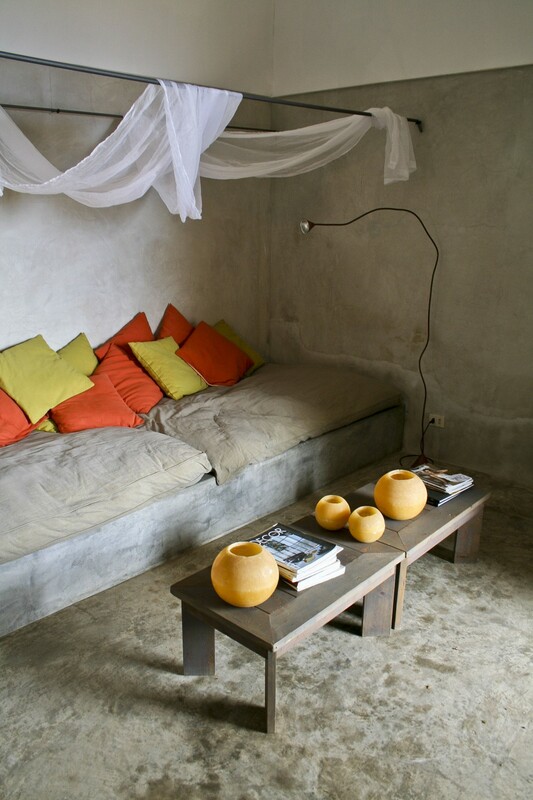 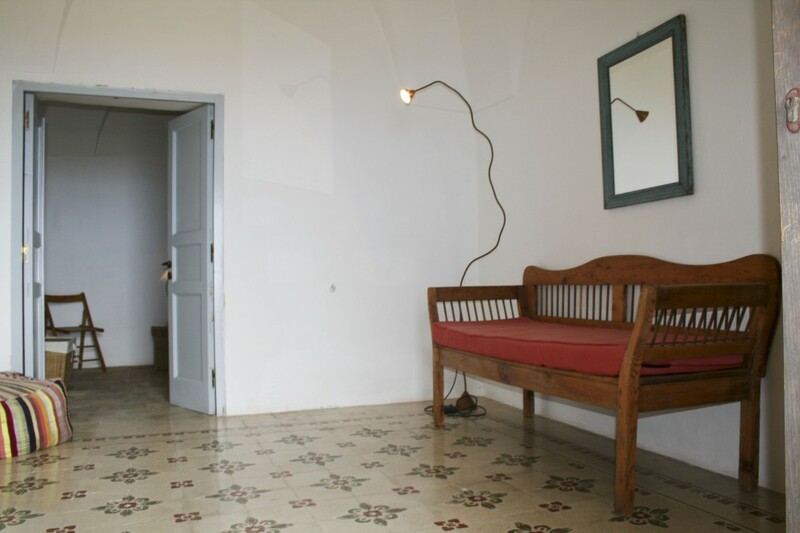 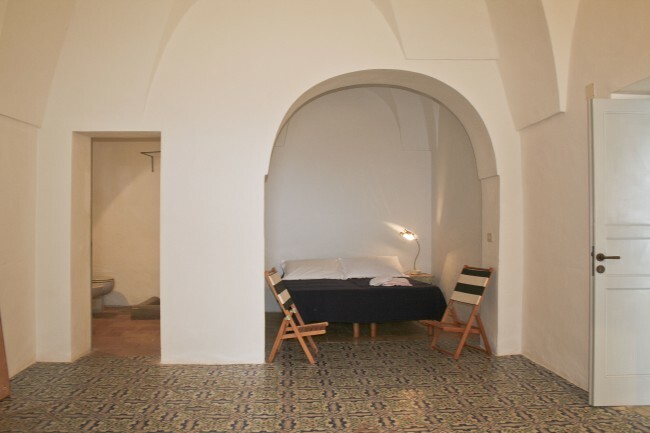 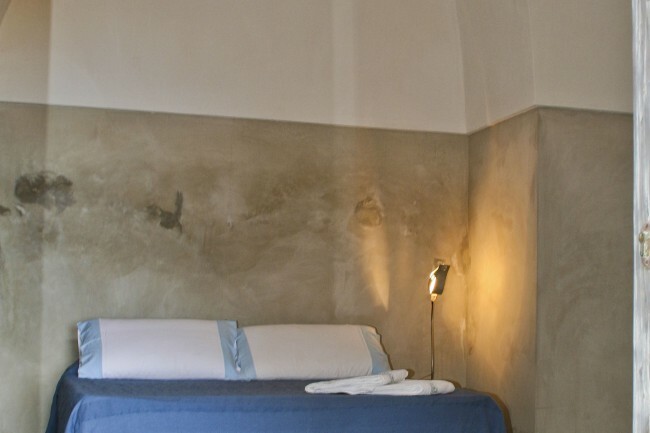 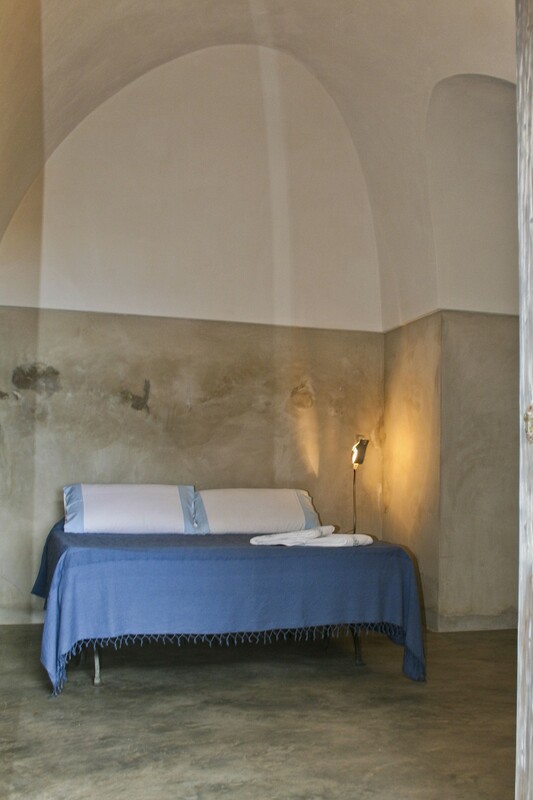 The rooms offer a minimal interior decoration style, which blends the atmosphere of the antique and elements of design. 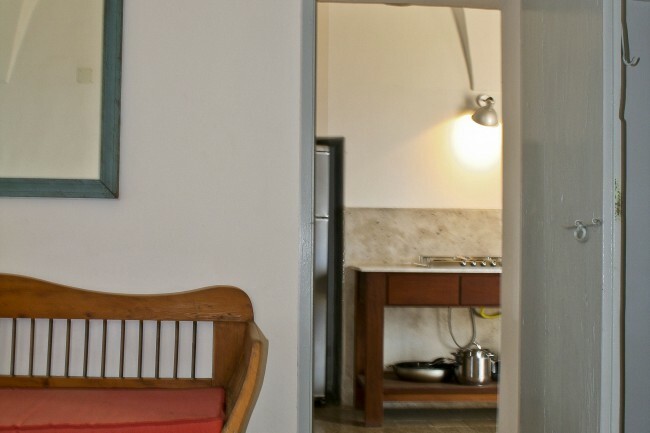 You will find all the practical comforts and conveniences: spacious and fully equipped kitchen, a large food cupboard, a living room, a master bedroom with ocean view and en suite bathroom, a single bedroom with en suite bathroom. 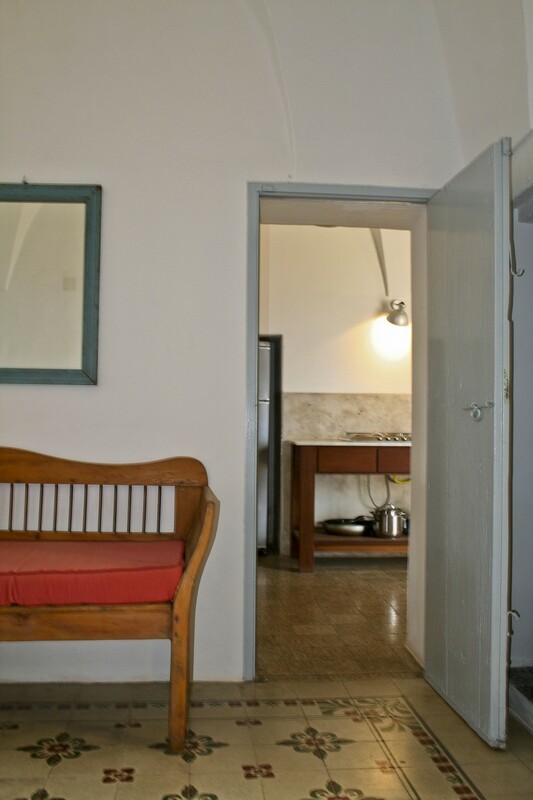 The villa’s signature is the round the clock liveable terrace. 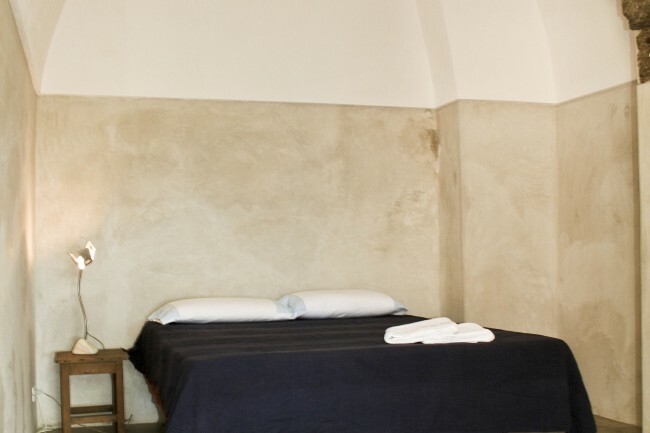 You can enjoy and relax from morning to evening on the cozy and comfortable cushions and mattresses, whilst contemplating the panorama and immersing yourself in leisure. 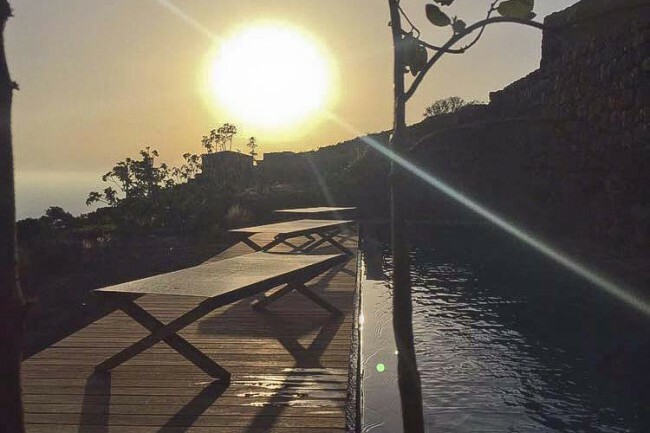 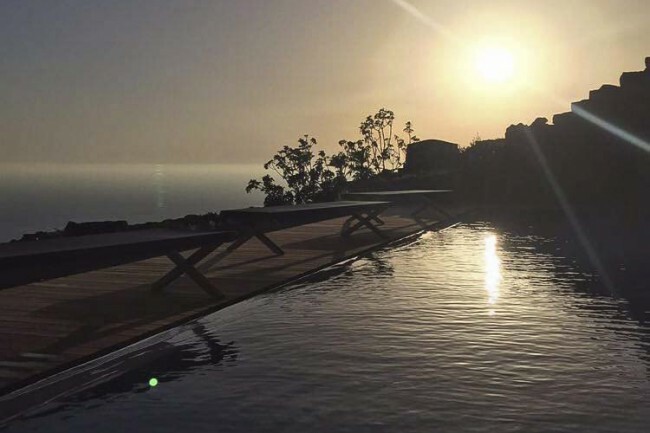 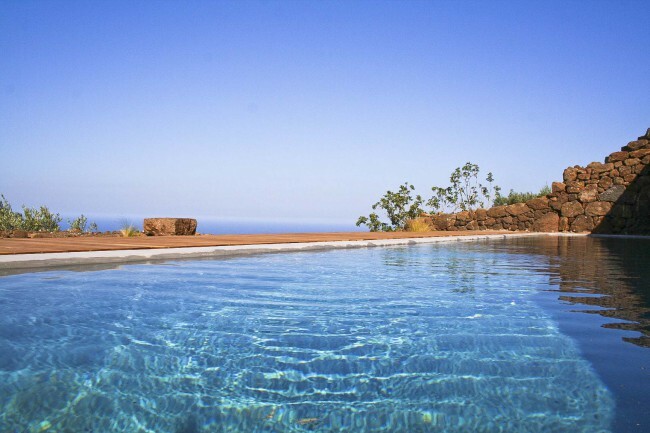 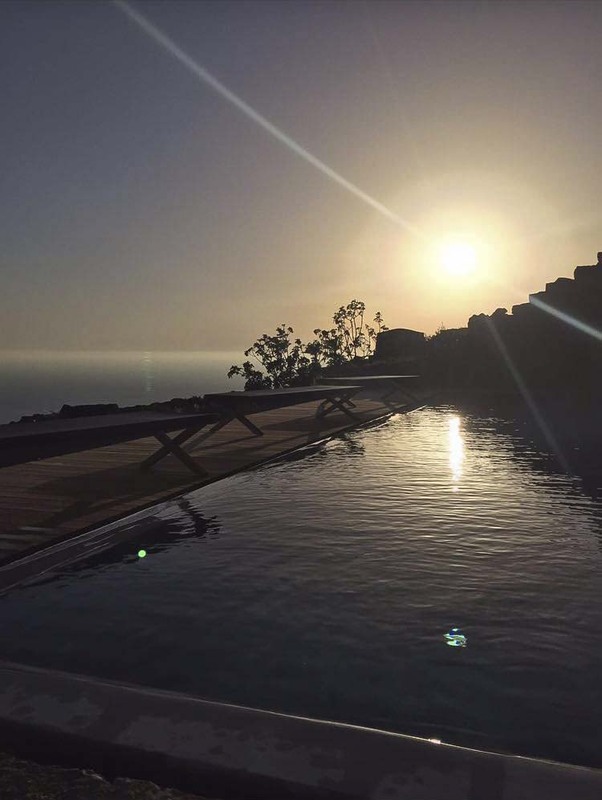 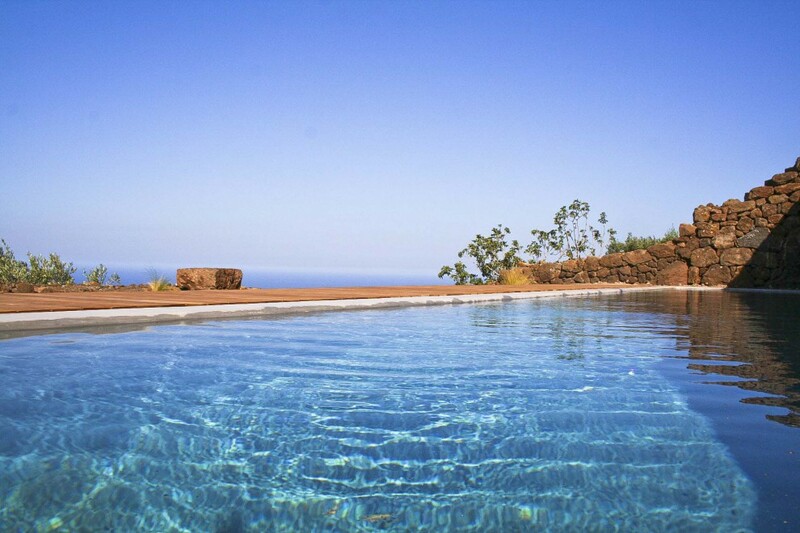 The newly built and A-M-A-Z-I-N-G 12 meter swimming pool seems suspended between the sky and the sea, with its deck immersed between the olive and fig trees. 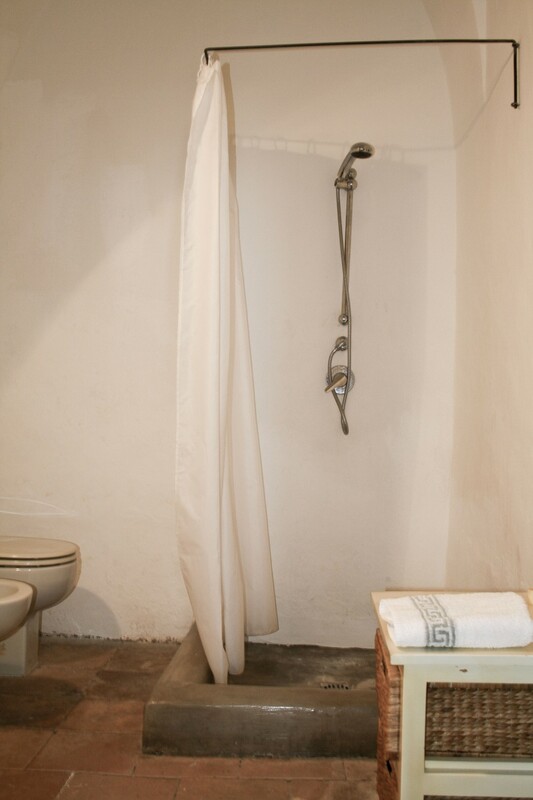 The swimming pool area features sunbeds and a convenient exterior shower. 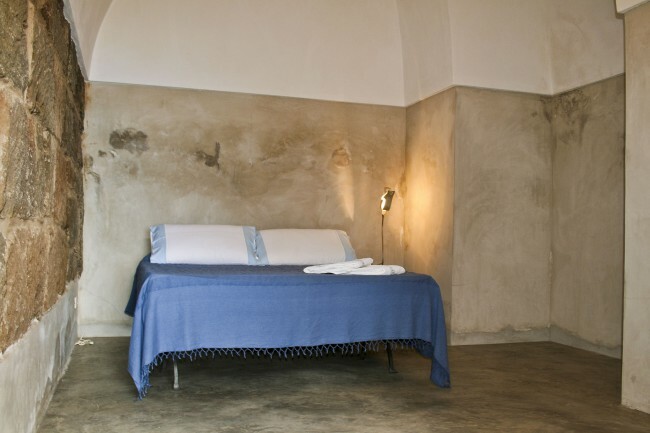 Two smaller dependence dammusi offer space for more guests, also refurbished in respect of the local identity, they are equipped with king sized beds. 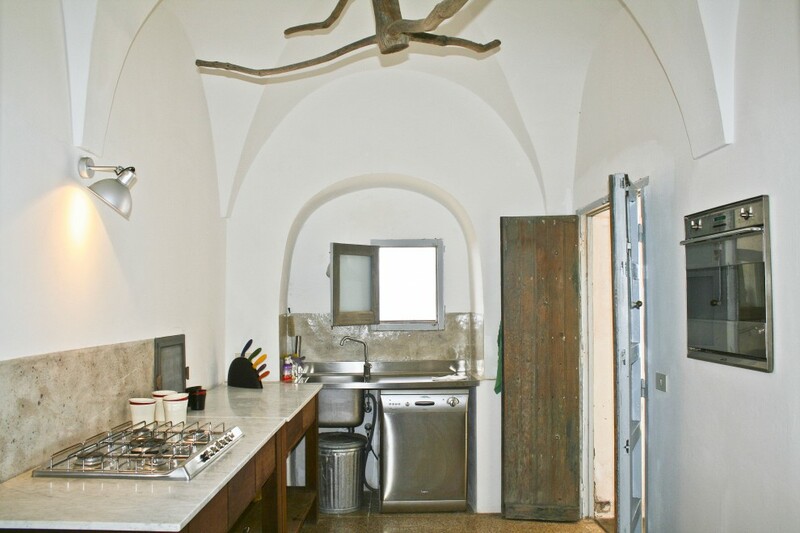 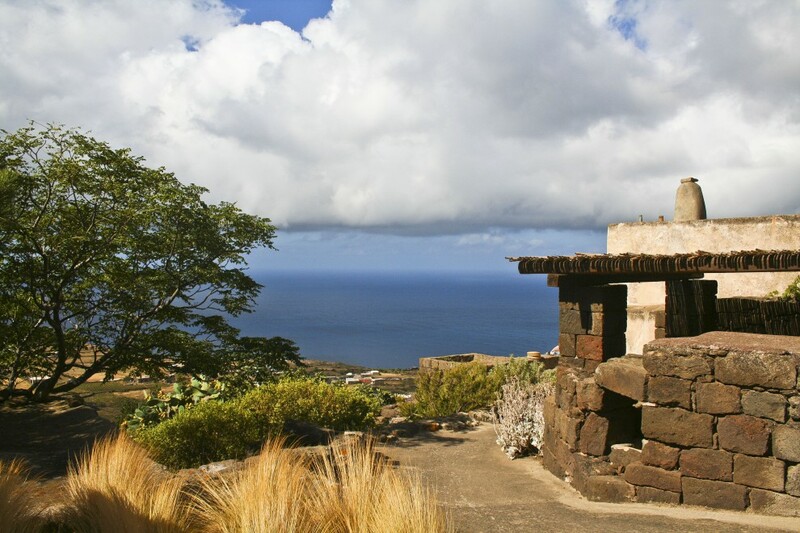 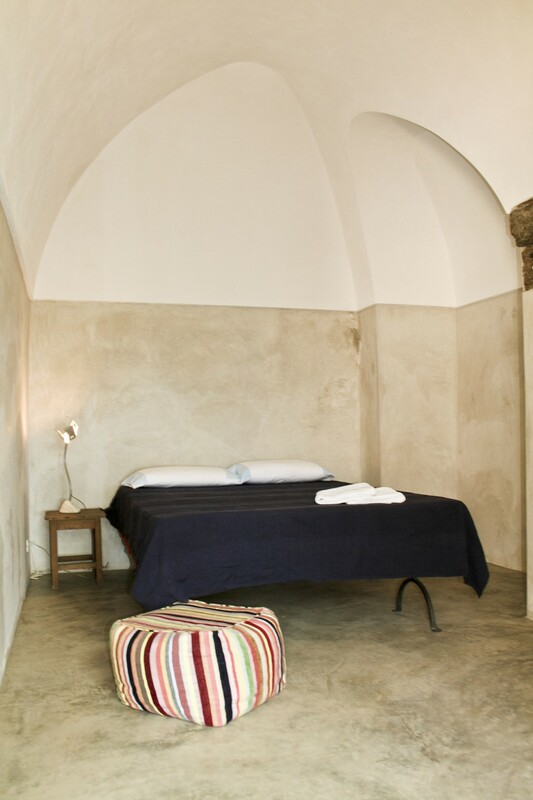 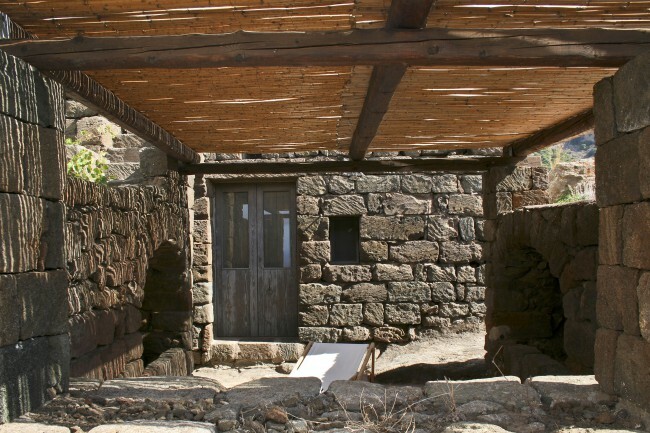 The dammusi are served by an elegant bathroom with a shower excavated in stone. 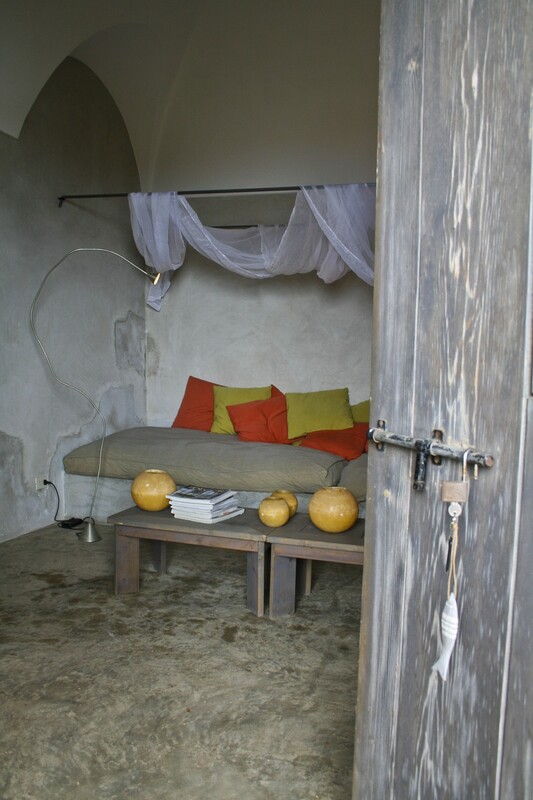 Both the dammusi dispose of a shaded pergola in front to guarantee maximum peace and privacy. 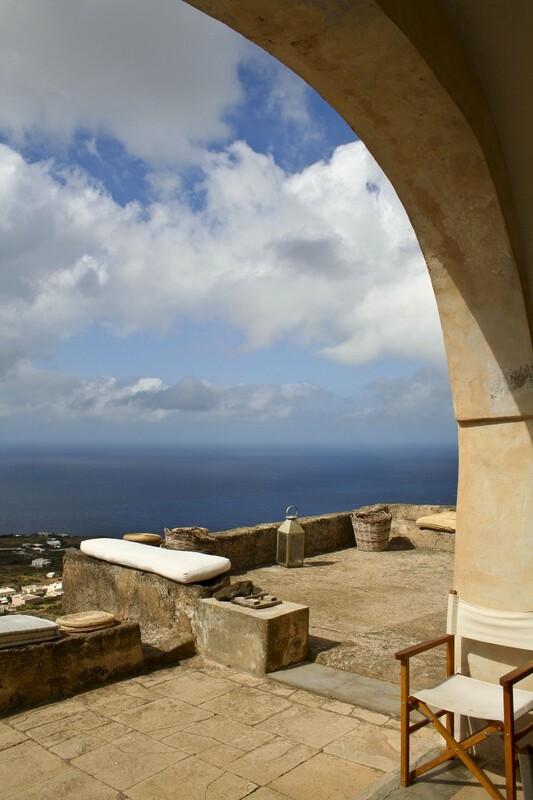 The villa is located on the western side of the Island facing the sunset. 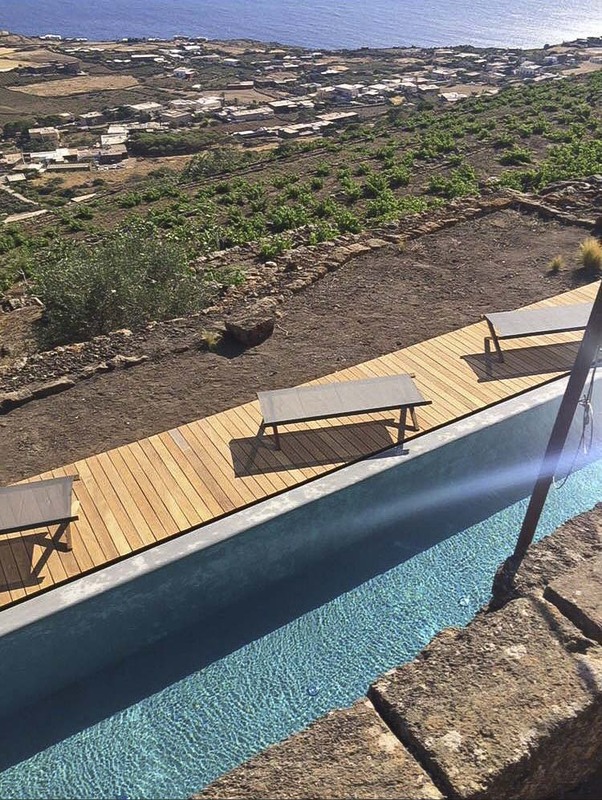 The closest village is Scauri, approximately 2km from the villa, where you can find all convenient shops such as the supermarket, pharmacy, a bakery and a shop with local delicatessen, a tobacco shop, cocktail bar and a boutique with exclusive beachwear. 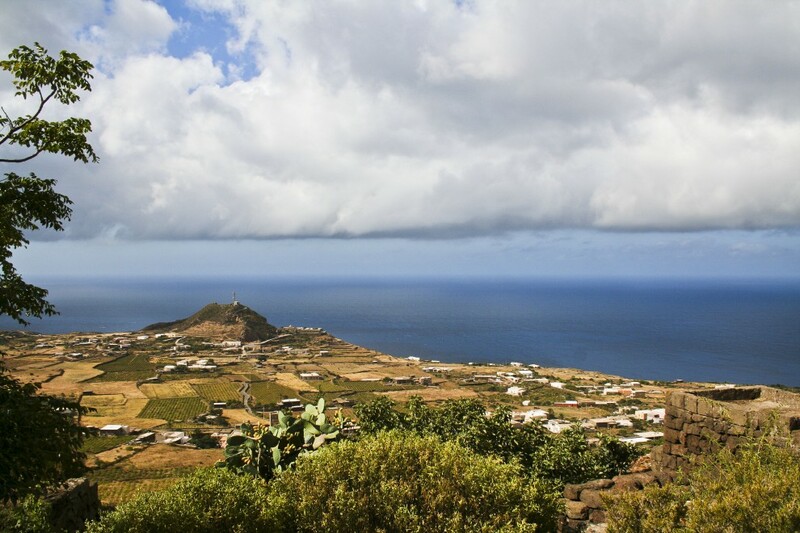 Further down the village has a port where you can rent boats for island excursions. 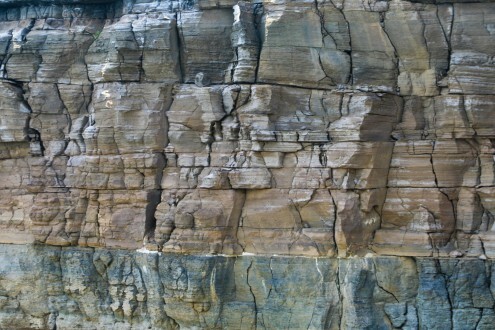 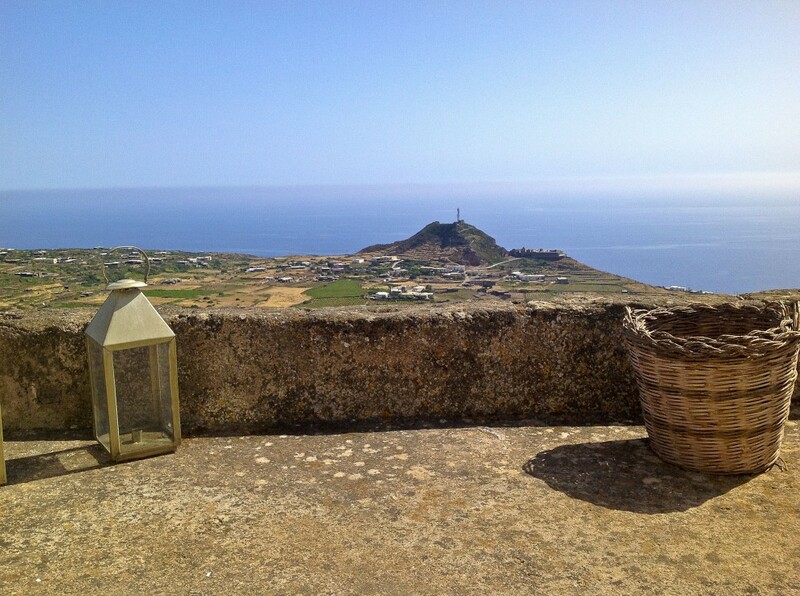 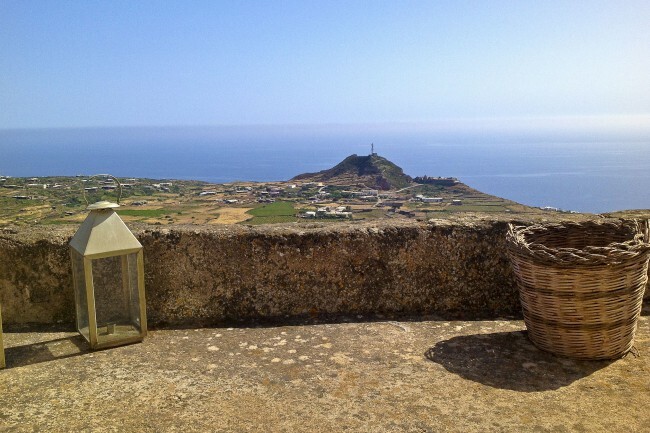 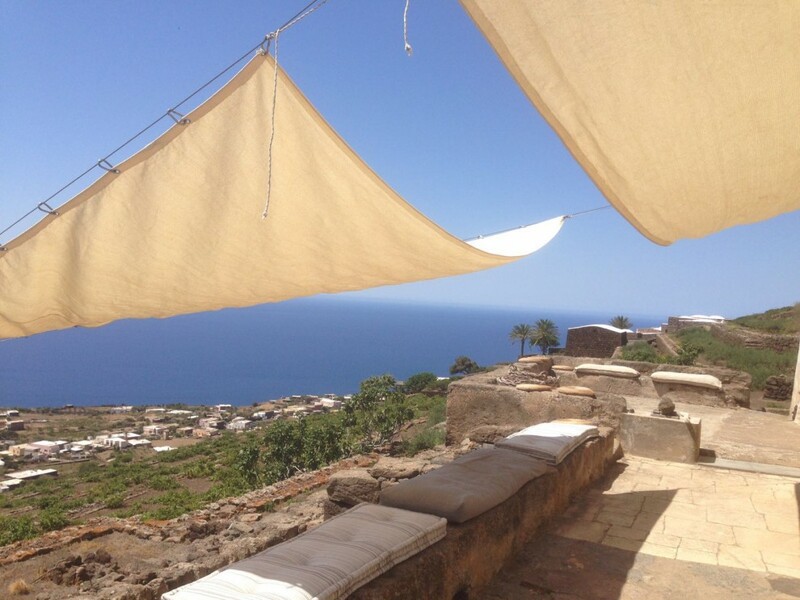 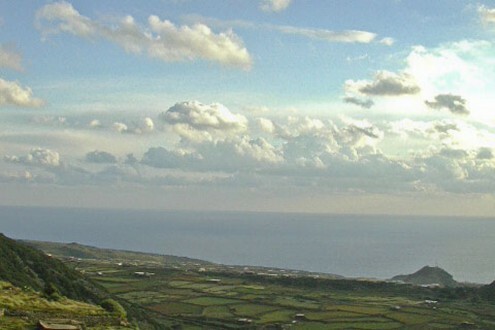 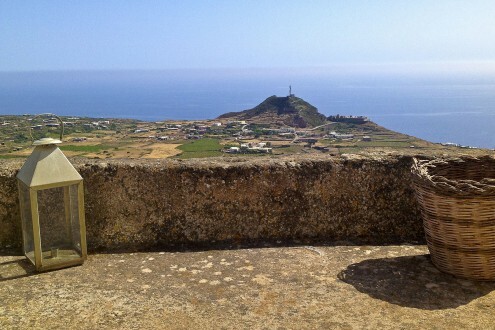 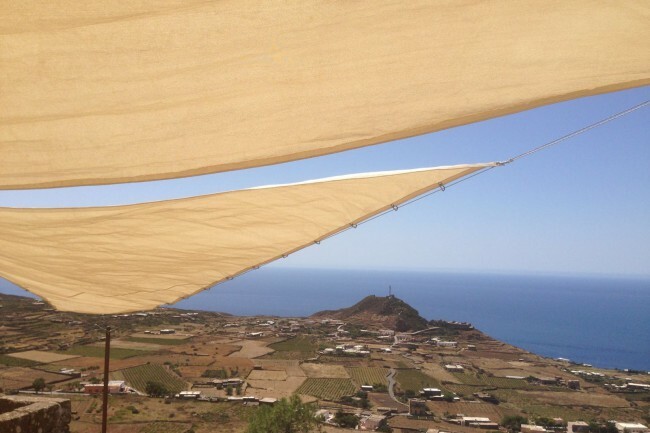 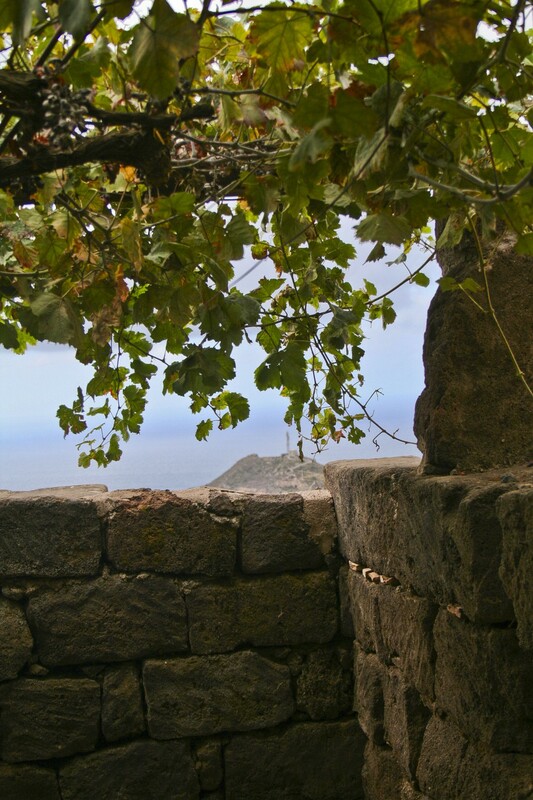 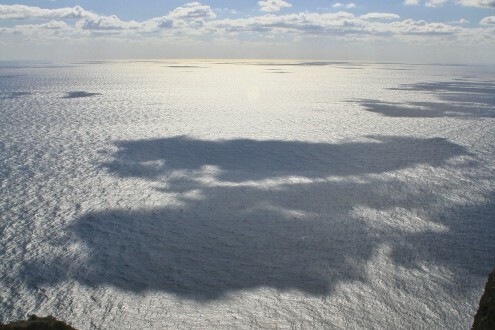 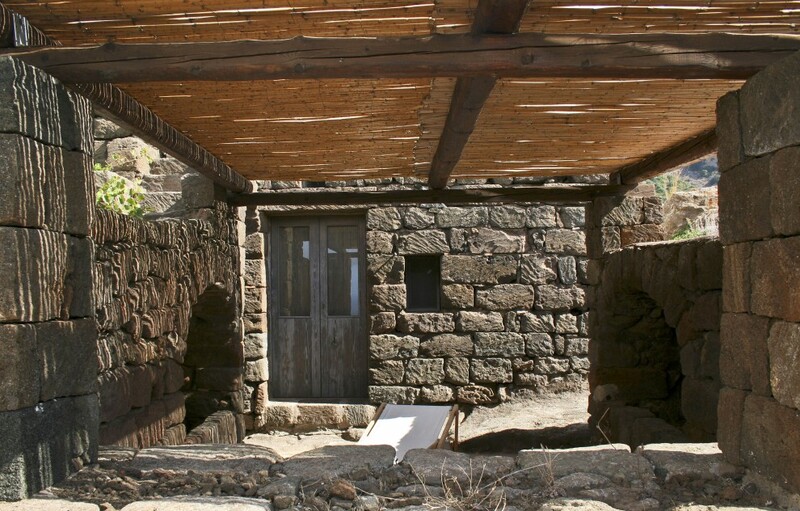 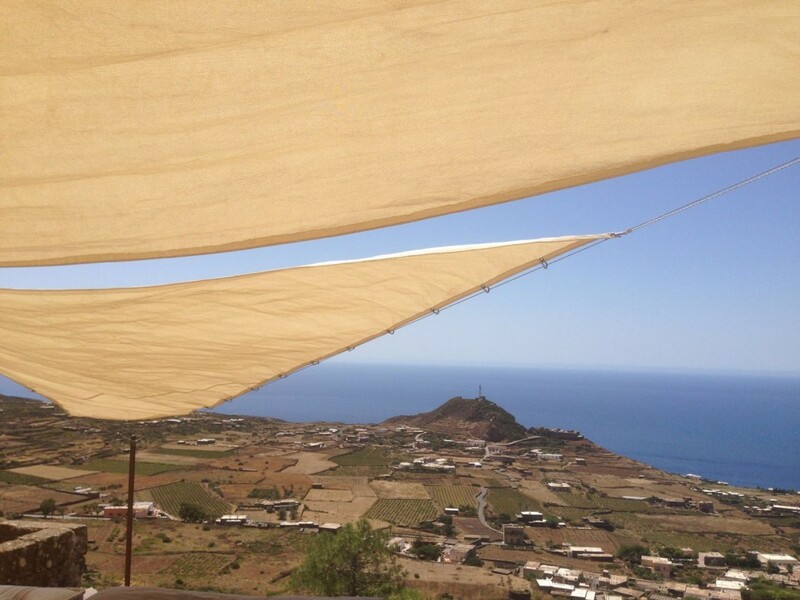 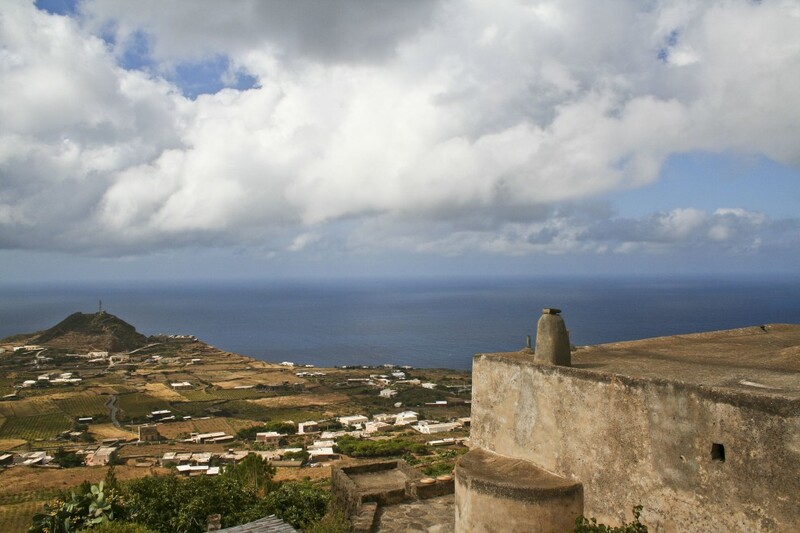 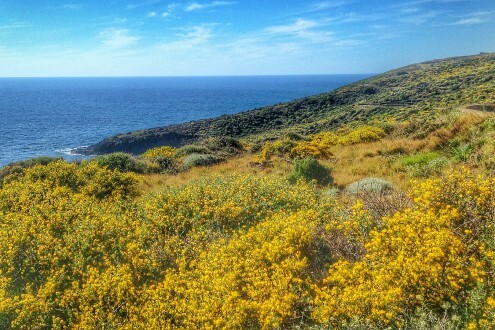 The gas station and the bank can be found in the central village of Pantelleria, which is 12km from the Villa. 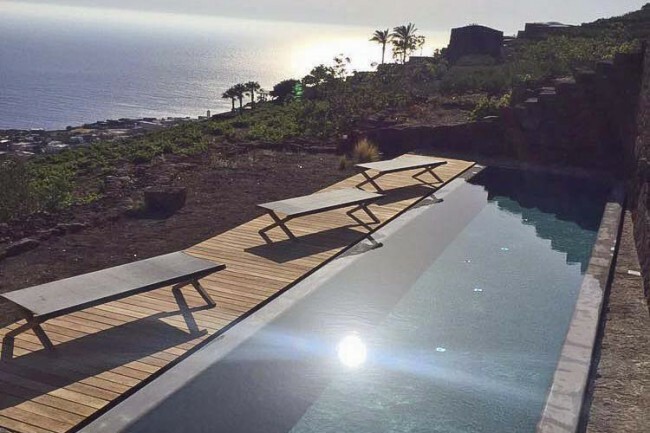 Everything is not included under "The rate includes"